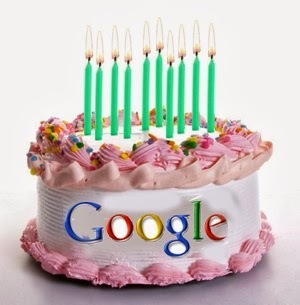 Founded by Larry Page and Sergey Brin and word's loving search engine “GOOGLE” celebrating its 15th Birthday. From September 1998 till now Google get success to become first choice for searching. Now we are very thankful to Google to gives such very relevant searches and tools and services like mail and Google plus, not only Google provide some great services but also it update some training programs. GOOGLE’s spam tem head Matt Cutt videos on youtube are very helpful. The other tools for webmaster, Google Analytic, Google keyword tool, Google Map, Blogger and the one that I like most is Google translator are some famous between common Google Searcher.